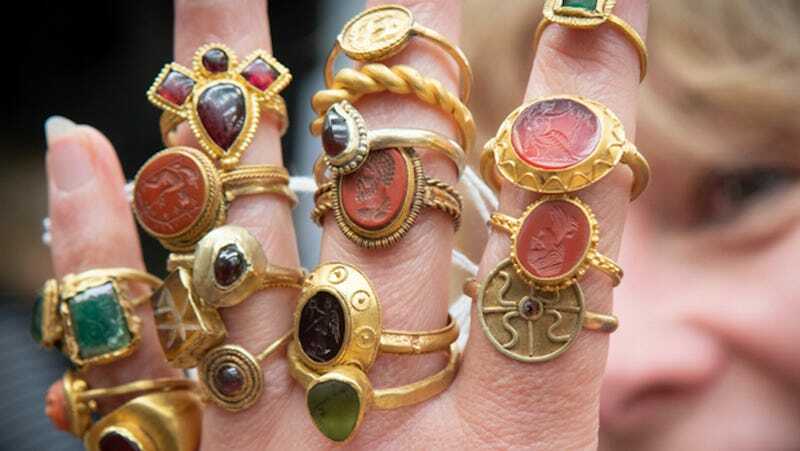 A collection of 54 rings—Greek, Roman, Byzantine, Viking, and medieval in origin—is coming up for auction. They look great and I need to own all of them. The BBC pointed the way to this sale, at Hanson Auctioneers in the UK. “These rings are between 2,200 and 1,800 years old and many are exceptional and extremely rare,” explained James Brenchley, the company’s head of the Ancient Art, Antiquities and Classical Coins department. Apparently they were all collected by an engineer in the 1950s and 1960s, who clearly had a very good eye for a nice piece of bling. And now, it should be worn by me, a high-status individual in my own mind. Maybe This Time I&apos;ll Win Something Special from Liza Minnelli&apos;s Closet!